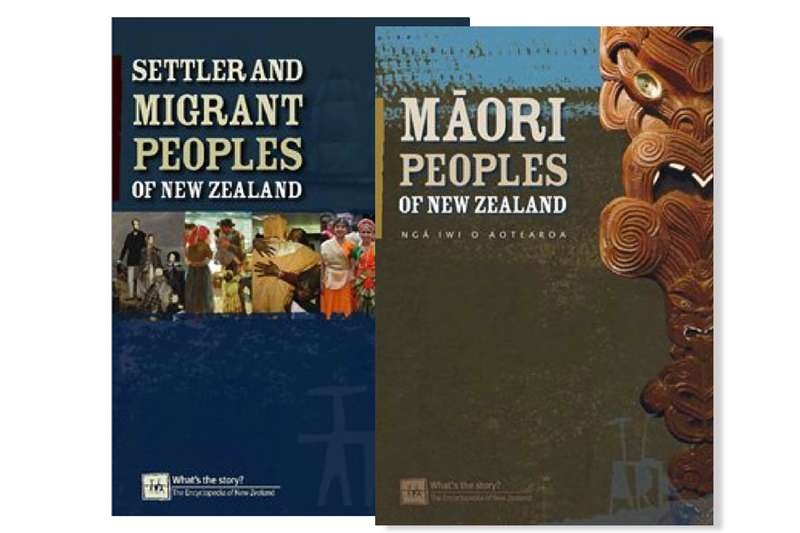 Te Ara Encyclopaedia On New Zealand’s Maori Peoples and Settler and Migrant Peoples. Sitting somewhere between a coffee table book and a reference book, getting the right look and feel for these books took a very long time as we were trying to look both modern and traditional. Te Ara the encyclopaedia of New Zealand have very distinctive iconography – their textures and logos – which we used to tie the books in visually with the website to great effect.